Lorna Daniels joined True North as Senior Director, Finance in 2011 and was named to her current role of VP, Finance & CFO in June 2014. 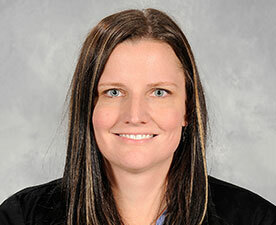 In her current role, Lorna is responsible for the oversight of budgeting, forecasting, financial reporting, internal controls, risk management, and reporting for the multiple stakeholders for True North Sports + Entertainment and the Winnipeg Jets Hockey Club, and its various operating subsidiaries. Lorna came to True North after working as a Senior Manager in the auditing department for the accounting firm KPMG in Winnipeg, where she obtained her Chartered Accountant designation. While at KPMG, Lorna was active in various training initiatives. Lorna, a lifetime Manitoban, attended the University of Manitoba earning a Bachelor of Commerce degree. Lorna actively participates in golf, hockey, and volleyball leagues throughout Winnipeg.